This post was first published on June 20, 2013. Since then additional links have been added to the post. Enerpower was engaged to carry out a feasibility study for a proposed wind energy project at Ballynagran. Also please take a look at the SEAI guidance booklet on community ownership for wind farms in Ireland. It is slightly outdated (2004) but still useful. This booklet is over 50 pages long and will take a little while to load or download! There are several Irish community projects and contact names mentioned in the report. We have contact details of representatives from the Templederry wind farm. There is a proposal that our group invite them to share their experience with the project. See page 18 of the report – they offered shares to members of the community in the project and were oversubscribed but it took 10-12 years to get the project of the ground. In order that the assumptions made in the Wind Energy Report can be tested the Committee has published small Microsoft Excel applications that allow the user to change the various assumptions made. What would the return be if we had to borrow all the money at 7% interest ? What if the Electricity Prices only rose by 1% ? What if we could get a grant of €50,000? etc etc. A sense of the real surplus generated after replacement cost has been taken into account can be tested by downloading another application from this link—–> Real Surplus from Wind Turbine-Test and then by testing for various different scenarios. There is an abundance of internet resources on wind turbines and wind farms. 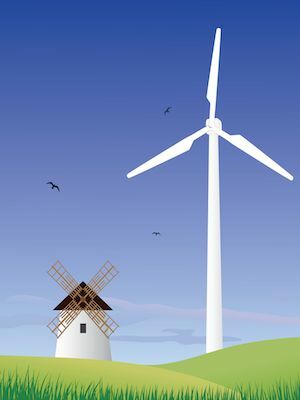 Guardian UK —–> Onshore wind energy: what are the pros and cons? Solar Energy Site —–> Wind Energy Pros and Cons – Is This Source of Energy Worth It? This list is my no means a complete guide. If you have other information that you believe ought to be shared with the community please provide feedback and contact us. We would be delighted if you would please give your opinion in the poll on the right hand-side of this page. Just below the poll there are suggestions as to how best you can provide us with your feedback. We really would love to hear from you !